Ship to a Gift Recipient? Log into/create your address book. To get started, simply type the recipients name in the box above. You will then see the products divided by recipient during checkout! Our 14 oz. 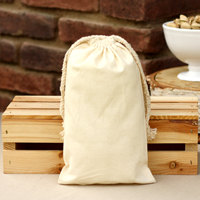 bag of Roasted & Salted Pistachios comes in a cotton bag is customizable, and we can apply your logo, a saying, or an image directly on the bag to use for corporate gift-giving. Yurosek Farms now offers $7.99 flat rate shipping on all Ground Orders. (Must select FedEx ground at checkout) This rate applies to individual shipping addresses. If you are shipping to more than one address see detail below for shipping rates. If you are shipping to more than one person, the flat rate $7.99 shipping charge will be applied to each order. If you need your order quicker we can ship via FedEx Priority overnight or FedEx 2 day. The shipping cost will be calculated at checkout. All orders shipping to Hawaii, Alaska, PO Boxes, or APO and FPO address will be shipped via USPS Priority mail. The shipping rate will be calculated at checkout based on weight and destination. Please call 888-324-4600 for a shipping quote for all International orders. Orders ship from our warehouse within 2 business days of receipt of order. Please allow additional processing time for all orders placed during November and December. We guarantee delivery only to the address given to us. If an incorrect address is given it will not be forwarded, it will be returned to us. If you want us to re-ship your order additional shipping charges will apply. If an order is damaged upon receipt, please notify us at 888-324-4600. Do not throw away any of the damaged packaging. FedEx requires proof of damage and we may ask for a digital image of the damaged package. To receive a new order, we may require you to ship us back the damaged order.